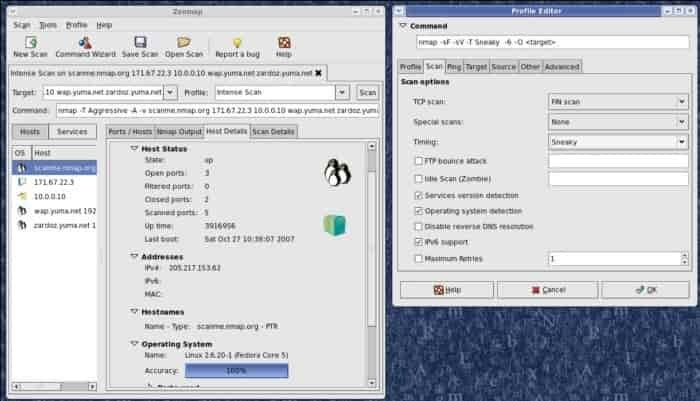 Nmap also was known as the Network Mapper is an open source and a totally free network scanner which is developed by Gordon Lyon (Fyodor Vaskovich was his pseudonym). Nmap is basically used to discover hosts and services available on a network of a computer with the help of sending packets and to analyze the response. You are at the right destination if you are looking to download Nmap security scanner! Network Administrators mostly use the Nmap for identifying the devices which are running on their network systems, also discovering the people or hosts that are available and about all the services they offer. This tool is also used in finding the open ports and also for detecting the security risks within the network. Read: Wireshark Free Download – Network Scanner Tool. Nmap the shorter form of Network Mapper is a totally free tool for checking the vulnerability and for discovering the network. It is also used to check the number of users currently available on the network. Nmap can also be used for monitoring the single hosts and also for the vast networks that surround the hundreds and thousands of the devices connected over the same network. It is an extremely flexible tool and the working of this tool is quite unique. This tool works by sending the raw packets to the system parts of the network. It even listens for the responses and through that, it judges whether the ports are open or not (Firewall is also an example of this technique). Read: THC-Hydra Free Download – Best Password Cracker Tool. Network mapping: This means that Nmap can identify the devices on the network (host discovery), it includes servers, switches, and routers, and also defines how they’re physically connected. OS detection: Nmap can also detect the Operating System (OS) can be detected by this Software, it also provides the Vendor name, it also shows the built no. of the PC that is connected over the network. Service Discovery: Nmap can also act as web, mail or server names, and as a particular application and the software they are running. Security Auditing: It is also used for figuring out the versions of the Operating Systems (OS) and the applications that are running on the network. The network manager determines the vulnerability of specific flaws. If an alert is received by a network admin upon the vulnerability of a particular version of an application. So this tool can detect all those specific vulnerabilities. 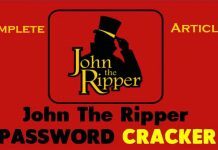 Read also: John The Ripper Password Brute Force Software. So that was all the information I was able to gather about the Nmap Network Security Tool. It is very easy to download, install and use for getting all the information you want to know about your network. It is also used to keep your network totally secured and safe from all of the unauthorized intervention. It also works on Kali Linux and you should totally be aware of how to use the terminal environment. This tool is totally secure it doesn’t do any harm to your Personal Computer but you have to be sure for the 100% original tool. 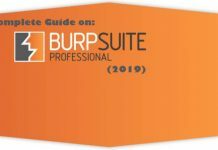 If you download the copy of the software from any unauthorized website it might harm your computer and maybe your data might be in someone else’s control and also be copied to do to perform the data theft. I am going to put a download link from where you can download the latest version of the Nmap free security scanner of the network. This tool is very easy to download and install. If you are looking to scan networks for security issues and vulnerabilities you should Download Nmap Security Scanner! It's the best, period.